Maverick X3 X rs Turbo R and the four-seat Maverick X3 MAX X rs Turbo R vehicles, dressed in Triple Black and Can-Am Red, join the existing 2018 family as separate available packages. As the industry’s most powerful super-sport vehicles at 172hp, their Defiant, Precise, Powerful reign continues with newfound and unmatched traction and control. 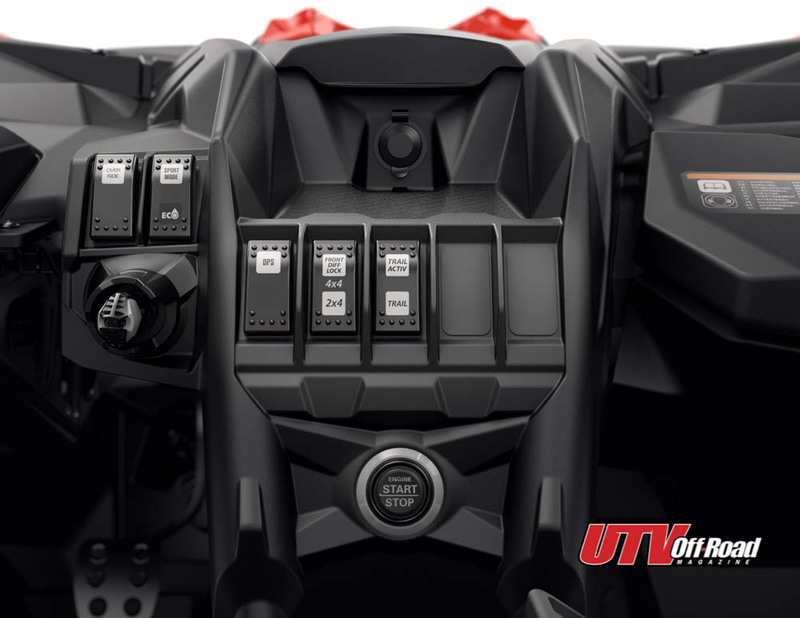 – Smart-Lok – Full lockable on-the-fly front differential with electronically controlled automatic modes The new Triple Black and Can-Am Red Maverick X3 X rs Turbo R and Maverick X3 MAX X rs Turbo R vehicles now feature the electronically controlled front lockable differential system with Smart-Lok technology that takes traction to new levels. The system ensures maximum grip and enhanced slow-speed maneuverability especially in challenging terrain. The Smart-Lok system, developed in conjunction with TEAM Industries, takes integrated intelligence to new heights and allows on-the-fly adjustments. The differential can lock and unlock on the fly no matter the speed, letting the driver focus on the trail. Smart-Lok offers intelligent modes for different riding conditions. The brain controlling this industry leading technology is the Front Differential Module, gathering input from six key vehicle parameters. It analyzes front wheel speed from both sides, steering angle, accelerator pedal, gear position, engine torque and vehicle speed. Depending on the readings and the Smart-Lok’s setting, the actuator will instantaneously initiate the locking of the front differential. The result is simple steering output (same as being fully open), allowing the driver to accurately conquer varying obstacles while maintaining momentum. The driver has the option to select between four modes: 2×4 / 4×4 fully locked / 4×4 TRAIL ACTIV and 4×4 TRAIL. The dual “TRAIL” settings are designed to enhance the off-road experience by offering a more versatility and a customized feel to match to specific terrain, conditions and demands. Our engineering team further enriched the system by including hill descent control, which includes an Electronic Braking System (EBS) at all four wheels, for improved control and traction. 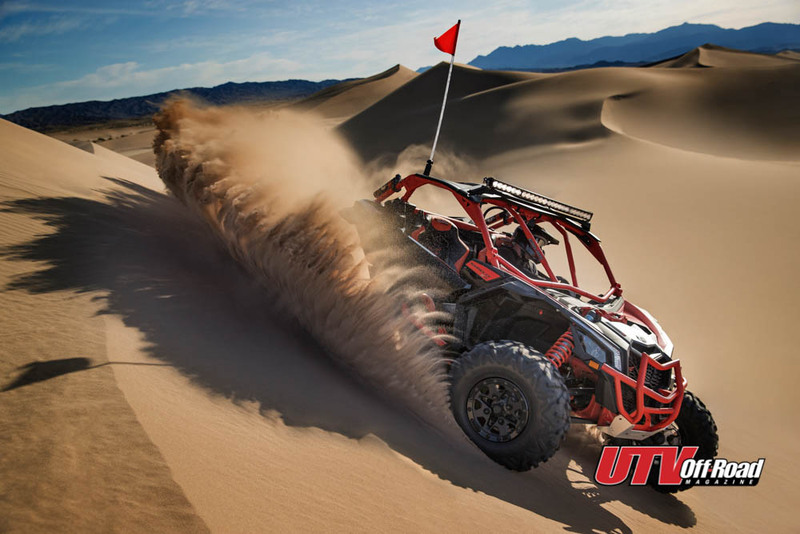 The Maverick X3 X rs Turbo R Smart-Lok and Maverick X3 MAX X rs Turbo R Smart-Lok packages, both with industry-leading 172 horsepower, are available in an exclusive Triple Black & Can-Am Red finish, complete with a matching Can-Am Red cage and black roof.